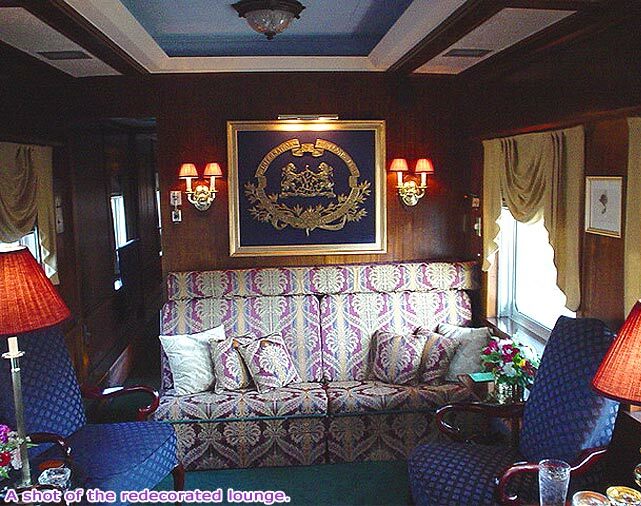 Travel in unparalleled opulence and arrive splendidly refreshed in the atmosphere of a private club on rails. One master bedroom, 2 double bedrooms, 1 single room, convertible sofa bed, shower, dining room, full meal service, observation lounge, open rear platform, radio, stereo, cellular phone. TV, DVD, CD and GPS system. 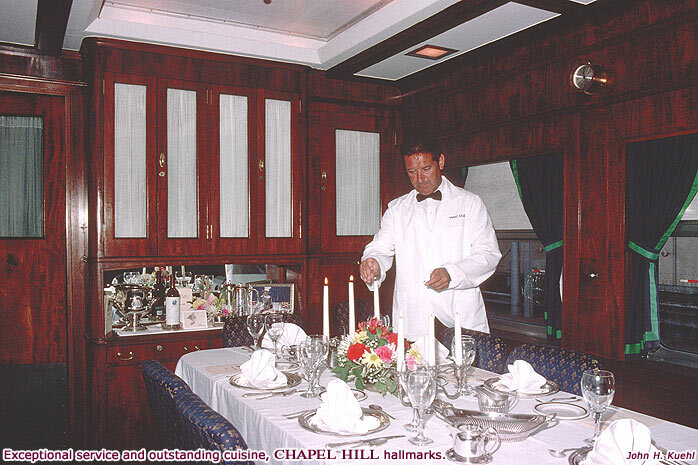 Built by American Car & Foundry in 1922 as the private car Hussar for E. F. Hutton and wife Marjorie Merriweather Post for their personal use. 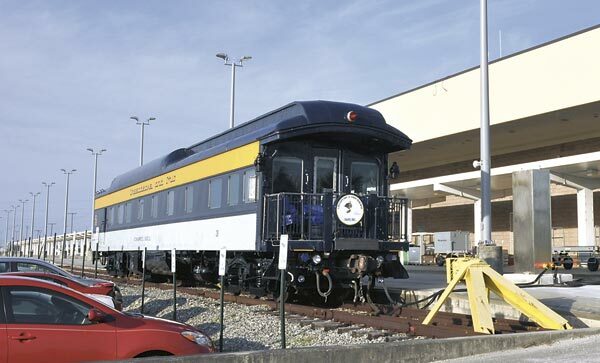 Chesapeake & Ohio office car from 1937. Acquired by DeWitt Chapel in 1971.